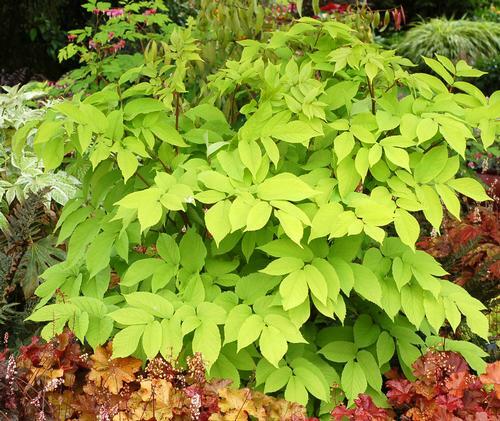 Vigorous and fast growing, this large shrub-like perennial is grown for its bright golden foliage that appears in early spring and lasts until fall. If too shady, leaves will be more lime-green. Tiny white flowers bloom late summer and form purple berries in fall. Excelllent to brighten up the shady woodland garden.